April 2019: There is just one spot left! Is it yours? The 2019 Retreat theme is Books, Vessels, & Containers. How do you store your stuff? Come explore a variety of papers that can be cut, folded, stitched and manipulated to create books, tubes, pockets, envelopes, maps, bags and more. Explore these ideas as you create unique paper objects with a dozen like-minded creatives. New Format: Come for three days or stay for 5! You are invited to my studio in the heart of the Rocky Mountains to cut, fold, layer, collage, weave, glue and make paper as you explore its potential in two and three dimensions. Enjoy peaceful creative days in the tiny hamlet of Red Cliff, surrounded by mountains, the river, and aspen trees as they begin to change their glorious fall colors. Experiment with several techniques as you create a variety of paper objects that will intrigue your eyes and illuminate your spirit. All levels of art experience are invited. Over the years, this retreat has attracted people from all walks of life: from hobby paper crafters to professional artists; some are still working and others have retired; those who have experience with paper and others who do not; young, old, male female, librarians, teachers, kite flyers, translators, non- profit leaders, designers, therapists, and engineers. Everyone is welcome! Click here to view a gallery of images from past retreats. If you have questions, feel free to e-mail Helen: helen@helenhiebertstudio.com. Helen Hiebert constructs installations, sculptures, films, artist books and works in paper using handmade paper as her primary medium. She teaches, lectures and exhibits her work internationally. She has taught at the Penland School, Haystack Mountain School, Women’s Studio Workshop, the Papierwespe in Vienna, Austria and the Oregon College of Art and Craft. Helen is the author of the books Playing With Pop-Ups, Playing With Paper, Papermaking with Plants, The Papermaker’s Companion, and Paper Illuminated. 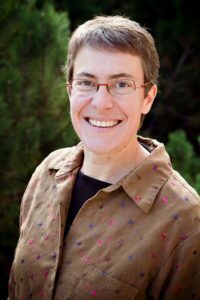 Helen serves as an advisor for Hand Papermaking Magazine, is a member of the national and international hand papermaking organizations, and writes a weekly blog, The Sunday Paper. Our group will spend the mornings working together on step-by-step projects, such as shaped and folded pages, pop-ups, unique book structures, stitched paper pockets and more. The afternoons will be more freeform: Helen will demonstrate hand papermaking techniques, and you can choose whether to spend the rest of the day making paper or continuing to explore the morning’s techniques. Dry demonstrations will include multiple ideas for constructing books, pockets, portfolios and vessels. Helen will show a variety attachments and connections that work well with paper (glue, tape, eyelets, sewing, etc). Wet demonstrations will include creating structural papers with abaca, integrating pockets and embedding samples between sheets, and letting the drying process control the paper’s shape. Projects will include sculptural forms that can morph into books, clothing, lights, installations and more. The pace will allow for structured teaching and individual meandering. You will head home with models, finished objects, and inspiration to continue with your creative work! Helen also has an extensive library featuring paper forms and projects that will be available for inspiration. Evenings Dinner on your own, relax, or explore the Vail Valley! The studio will be open for a few hours in the evenings for night owls! Supply lists, weather information and other helpful tips will be sent upon receipt of your registration form and deposit. For those of you coming from lower altitudes (Red Cliff is at 8650 ft), please read up on adjusting to high altitude. I don’t want to scare you, but I want you to feel your best! If you plan to stay at the Green Bridge Inn (see below), register early to receive the early bird discount and to assure that you get a room (it is a small hotel and it is wedding season). Be sure to let Helen know if you would like to schedule time for individual art mentoring time during our retreat. Please feel free to contact Helen before the retreat with any questions you may have about our plans, supplies, techniques we’ll be covering or any special requests. Please note: there will a materials fee in the amount of approx. $50 for 3 days/$100 for 5 days (TBD) due at the retreat. Lodging expenses are not included (see listings below and let me know if you would like a roommate). Travel arrangements are your responsibility (I am happy to connect you with others in the group). Breakfast and dinner are on your own. You may wish to ship some of your work home after the workshop. Red Cliff is the oldest town in Eagle County. At 8,650 feet above sea level (please note the altitude; you will need to drink extra water to acclimate), Red Cliff boomed at the turn of the century as a mining town with saloons, a bank, sawmills and even an opera house. Today it is a quaint mountain community (population 265) that attracts tourists who stop in as they drive their way down the Colorado Scenic Byway, Highway 24. 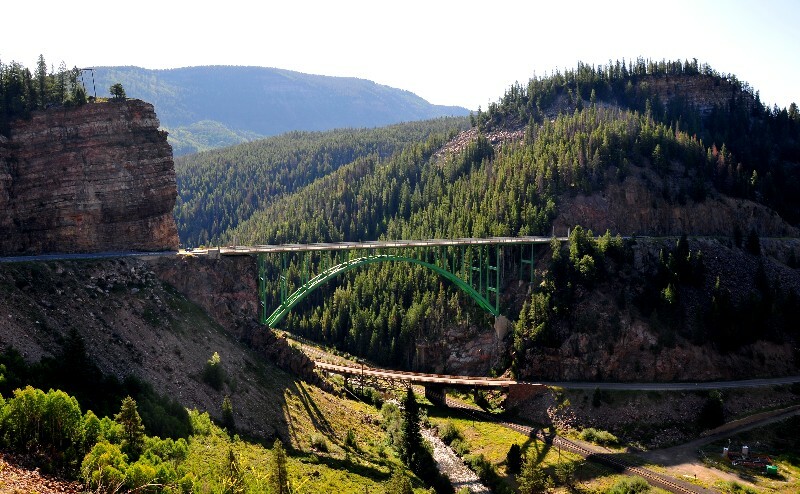 Red Cliff is 20 miles North of Leadville, the highest incorporated city in the U.S. and just 12 miles from the center of Vail, a world famous ski resort. The town of Red Cliff is also accessible via Vail Pass off of I-70. Please note that there is limited cell service in Red Cliff (yay!) but there is Wifi at the Inn. Green Bridge Inn: http://www.greenbridgeinn.com; (866) 660-1716. $112/night single or $122 double. The Green Bridge Inn offers classy lodging to complement your perfect mountain-escape vacation. All 14 rooms at the Green Bridge are paneled with beadboard walls and laid with hardwood floors for a home-away-from-home feel. Experience extreme comfort and have a great night’s sleep on our on our king-sized or extra-long full-sized beds. Mention PAPER RETREAT when you register for the discount. Hotel Minturn: https://www.hotelminturn.com/$119 – $179/night. Hotel Minturn is a boutique hotel located in Minturn, which lies between Vail and Red Cliff , just nine miles north of Red Cliff. The downtown location of Hotel Minturn is a short walk to the to a variety of restaurants and shops. The rooms of Hotel Minturn are furnished in a clean, contemporary style with high-end finishes, fine linens and modern amenities. The Bunkhouse in Minturn: http://vailbunkhouse.com/. Enjoy a quiet, relaxing night’s rest in one of 30 custom-built bunk beds at The Bunkhouse boutique hostel. Comfortable mattresses, cozy linens and private spaces allow you to rest in peace. Each bunk features: clean linens, curtains for privacy, and ambient noise machines. Camping: There are a couple of primitive campgrounds located within 20 miles of Red Cliff which offer an inexpensive alternative to sleeping under a roof. In addition, there are numerous hotel and B&B options in the towns of Minturn (9 miles), Avon (15 miles) and Vail (15 miles). Denver International Airport (DIA) is 2-1/2 hours by car and Eagle County Airport is a 45-minute drive. Rental cars are available at both, and Colorado Mountain Express offers frequent shuttle service from DIA. Having a car can be helpful: the walk up to the studio from the Green Bridge Inn is about 1/4 mile uphill and there is only one restaurant in town. We can carpool if you prefer not to rent a car. A 50% deposit is due upon registration and tuition balance is due by June 1, 2019. You will receive a full refund minus a $75 processing fee for cancellations. No refunds after July 1, 2019, unless your space can be filled.